A recent scientific study has predicted that life expectancy in many 1st world countries could break the 80-year barrier in just over a decade. In 2030, women born in South Korea could be expected to have an average lifespan of 90 years, with most developed countries not too far behind. Improvements in the economy, education, and universal healthcare are the major factors driving this increase in life-span. Canadians born in 2030 will also live longer than the previous generation. The average age for males will increase to 84, while for women it will be 87. Meanwhile, life-expectancy in the U.S. will only improve slightly, due to the lack of socially supported healthcare and increasing obesity and other healthcare concerns. While many may see this increase in life expectancy as a positive, it could have a negative impact on the healthcare system. Health and social care for people over the age of 80 will become more expensive as the demographic increases. Attention-deficit hyperactivity disorder (ADHD) has long been considered a behavioral problem, but new research published in Lancet Psychiatry shows that people with ADHD may actually have a smaller overall brain volume, and certain regions of their brain may be smaller as well. 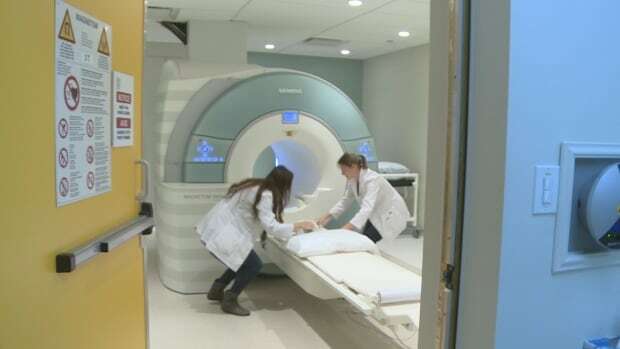 To determine this, scientists analyzed the MRI scans of 3,200 people. 2 different groups of patients from age 4 to 63 were analyzed, those diagnosed with ADHD, and a control group of patients without the condition. The difference in brain volume noted by the researchers was most noticeable when looking at the MRIs of children, and less noticeable in adults. To read more about this groundbreaking study, click the link here. Can Eating Fruits and Vegetables Improve Your Psychological Well-Being? We all know that maintaining a balanced diet and consuming an appropriate amount of fruits and vegetables is necessary to live a healthy lifestyle, but new study results show that these benefits may not be limited to your physical health. In a study conducted at the University of Otago in New Zealand, researchers studied 2 groups of young adults (ages 18-25); one group maintained their normal eating habits, while the other consumed extra servings of fruit and vegetables. After a two-week period, the group consuming the extra servings of fruit and veg reported higher levels of motivation and vitality, which are associated with better mental health. It is often said that older adults have better developed relationship skills, and as one ages it becomes easier to tolerate a friend’s imperfections and value new connections. But as life goes on, the difficulty of making new friends and acquaintances increases. Many people develop a friend set that they cherish through middle age, but become distant with during their senior years. This phenomenon can actually lead to significant health problems, as outlined by new research. A study conducted at the University of California followed 1,600 participants with an average age of 71. They found that those who reported loneliness had a higher mortality rate than those that didn’t. Social isolation and loneliness also results in a higher risk of depression, cognitive diseases such as Alzheimer’s, and other illnesses such as coronary artery disease. There is strong evidence to show that elders who are more social and who make an effort to forge new friendships often live more enjoyable lives than those who do not. To read the full article, visit the New York Time’s website here. An experimental therapy being developed for diabetes may completely change the way patients treat both Type 1 and Type 2 variants of the disease. This treatment was originally tested on mice, and involves implanting genetically engineered cells under the skin. These cells automatically release insulin as required by the body. Mice that were treated using this method were found to have normal blood sugar levels for several weeks during evaluation. Scientists hope to obtain a clinical trial license to test this new technology on patients within the next 2 years. “By 2040, every tenth human on the planet will suffer from some kind of diabetes, that’s dramatic. We should be able to do a lot better than people measuring their glucose,” says Martin Fussenegger, lead researcher. If this treatment is confirmed to be both effective and safe in humans, patients could be given an implant that would only have to be replaced 3 times per year. This implant could also control blood sugar levels more effectively than regular injections. To read more about this experimental treatment, click here.